For more than 25 years, Dr. Cesar Limjoco has focused on assisting hospitals in establishing clinical documentation integrity and delivered clinical documentation improvement services to critical access hospitals, community hospitals, regional referral centers, large academic medical centers and multi-facility health systems located throughout the United States. He works with the hospital leadership, medical staff, clinical documentation improvement teams, coding units, quality and utilization management, appeals management, clinical dietitians, wound care, laboratory and physical/occupational therapy. He has built a solid reputation of integrity and accuracy through a commitment to documentation and coding excellence that leads to accurate reporting of patient data. Dr. Limjoco’s philosophy is to provide the most accurate documentation of the patient encounter. This is accomplished through peer-to-peer physician education with the principal focus on the underlying CLINICAL TRUTH™️. Coupled with the collaborative team building approach with stakeholders, this philosophy results in the most accurate morbidity and mortality statistics as well as accurate data that ultimately improve health care. This has incidentally led to maximum effect not just on the middle revenue cycle, but on the entire revenue cycle (including utilization and appeals management). Dr. Limjoco’s career path has brought him to work for a regional hospital association, a big 4 consulting firm, and a state quality improvement organization. A prolific author on clinical documentation and coding, he has presented at ACDIS national conferences, AHIMA national conference, various state and local AHIMA, HFMA and HCCA conferences. 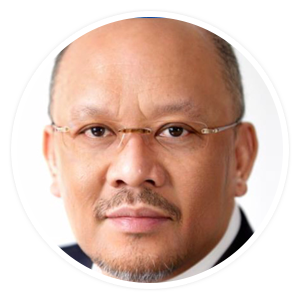 Dr. Limjoco has also been a guest speaker in national webinars and podcasts . He is also an editorial board member for the ICD10monitor.